Storing seat attributes is nothing new. There's been a spot for "window or aisle" in the PNR for years, if not decades. I noticed a message in my corporate travel portal a couple of weeks ago that AA customers could be moved to Preferred seating (not MCE) after ticketing. I'm guessing AA launched a similar program and this is UA's response. "Corporate travelers receive tie-breaker preference for upgrades after MileagePlus Premier status, booking class, and MileagePlus Chase Club cardholder status. " 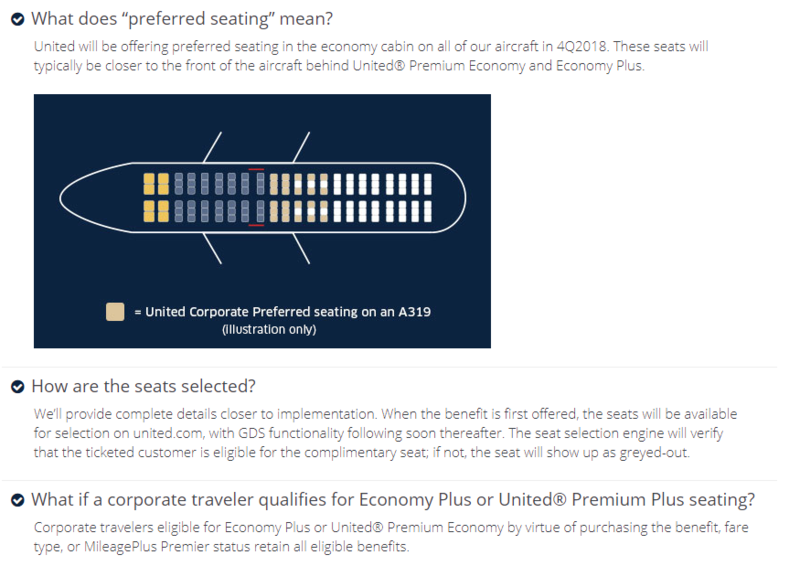 The example also says that Customer A and B are both "tied" at the top of the upgrade list, because they are both the same status with the same fare class. AFAIK, there are no ties on the upgrade list, and check-in order matters at that point (if all else is the same). Is that no longer going to be the case? UCP is now a new, additional tie-breaker that adds in before check-in (or ticketing, if outside the gate-processing) window. The real news IMO is the Preferred Seating situation. That is almost certainly going to be a paid situation similar to what AA does for non-elites. And it is only free for the Elite (top) tier of the new UCP program. Programs: UA 1.4KMM, Htz PC, Natl ExEm, SPG G, Hyatt Plat, Hilton G "What's that make us? Absolutely nothing." Customers will enjoy Group 2 priority boarding starting in Q4 2018. Miggles, DJ_Iceman, MojaveFlyer and 2 others like this. None of this means anything if UA continues to dump standby pax into seats based n the same algorithm that uses "front->back" as part of its algorithm That's been a problem for years..
c502cid, RockinRon, CMH500 and 2 others like this. 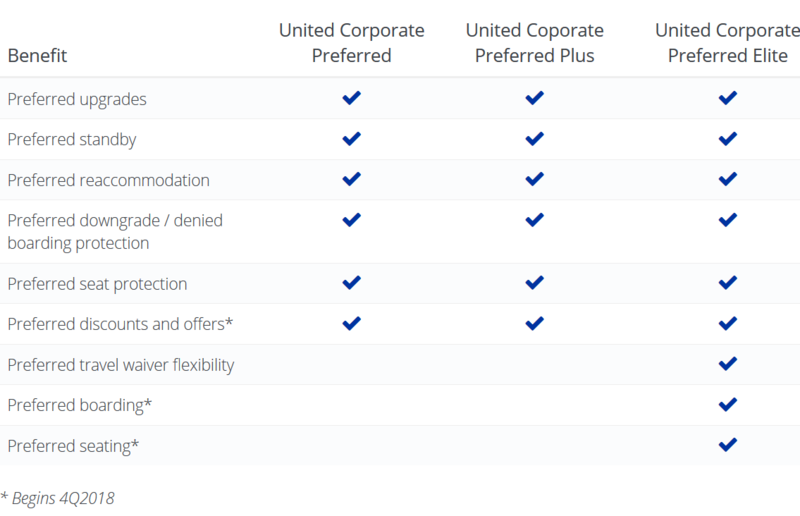 I really don't see how this helps United to compete vs Foreign/discount carriers (or DL for that matter). There are lots of non-corporate account business travelers and also non-business travelers who are booking in advance and want a seat reservation. That is frankly the ONLY thing that the network carriers- - or at least UA - have over WN. AA went down this road, and the result is that its now hard/impossible to get a seat assignment unless you have status. The illustration UA provided shows that at this point only 1/3 of a A319 would really available for seat assignment. This means no seat assignments for non-status business travelers (i.e. those paying more $$$ closer in) who are not part of some corporate deal. Not exactly the group you want to be proving the worst service too IMHO. Just because AA - with much smaller E+ cabins - does something does not automatically mean UA has to copy it. Isn't this just another way for UA to get someone to pay for a seat? When I didn't have status on AA, I know I ponied up $$$ to guarantee an aisle seat. I suppose others will do the same. I think that this is exactly what this is. AA has to a great extent taken away the ability to select a regular E- seat, unless you pay extra $$$$$. This is what ULCC's do. E.g. I just flew "peach" (ANA discount carrier) with the family on KIX-HKG. the bulkhead row (extra leg room) was another $25 or so - well worth it - but they were trying to charge an extra $15 for the "up front" seats. Seats that had the same sucky 28-29" pitch. So you're saying AA is an ULCC? At least they're revoking their horrible Basic Economy and allowing passengers on BE to bring a full-size carry on. UA on the other hand...hasn't reversed its decision yet. I also wonder if this will encourage companies to 'attempt' a corporate contract with UA so that it's employees aren't screwed thus giving UA some revenue. On the other hand, I also wonder how many other companies will solicit bids from DL/AA in response. I suppose it all comes down to the question "Does the corporation / passenger have a choice?" Are they flying in/out of IAD? Does the passenger want to risk a middle seat? another good reason added to UA being on my "do not use" list! Really screws the small business owner! On the other hand, I also wonder how many other companies will solicit bids from DL/AA in response. Likely, none -- at least, not because of this. This is a good move by UA for the same reason that it was a good move by AA. The people who arrange corporate travel contracts often don't travel and don't really understand what benefits are important to travelers. This is going to look like a way to sign up to get better treatment. The idea that this better treatment should be obligatory (and complimentary) will never occur to them. If DL hasn't already followed suit, they will, as this is mainly a way for UA to make sure AA can't poach customers. A few seats toward the front will be blocked off -- the exact same seats that already would have been blocked off unless you were buying your tickets 2+ months in advance, because they're the very same seats that everybody chose first.